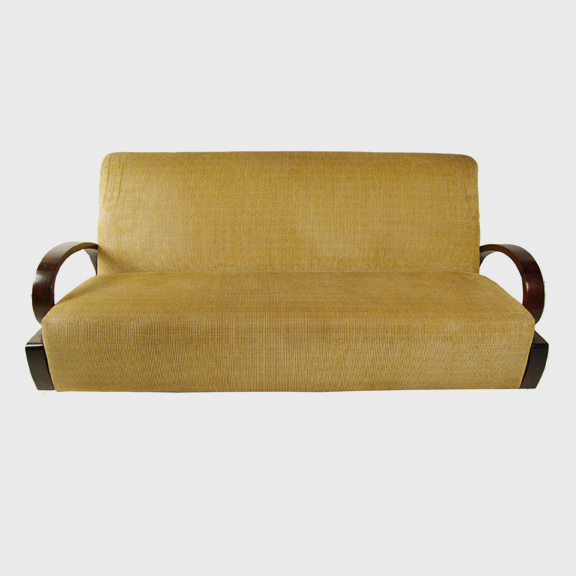 W: 28.5" D: 34.5" H: 35.0"
In the 1930s, Shanghai, China was swept up in the Art Deco design movement. 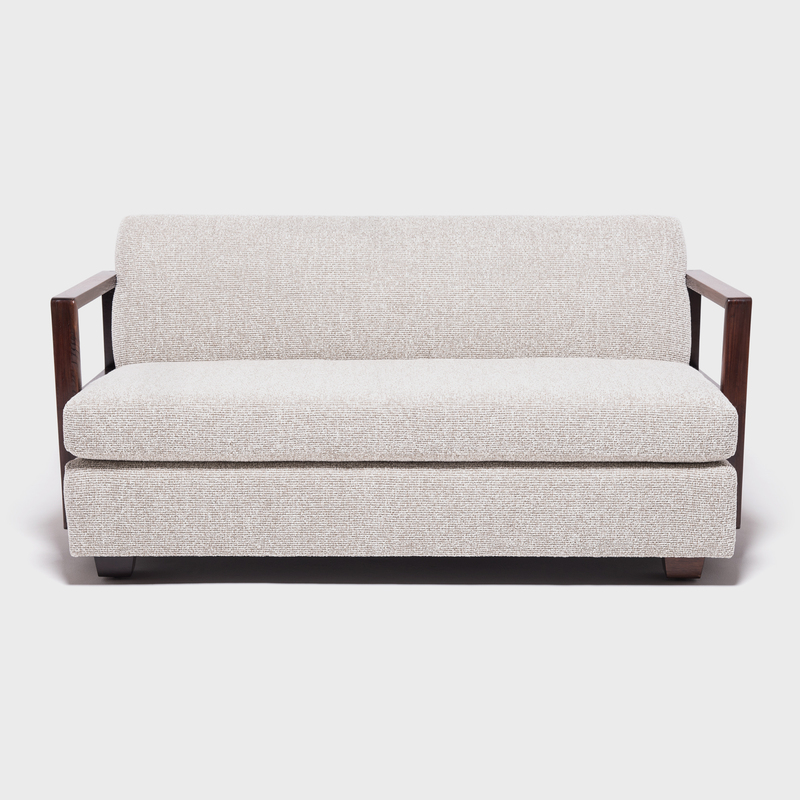 Design, architecture, art, fashion, and furniture were all influenced by this modern movement, permeating every part of life in the bustling, vibrant city. 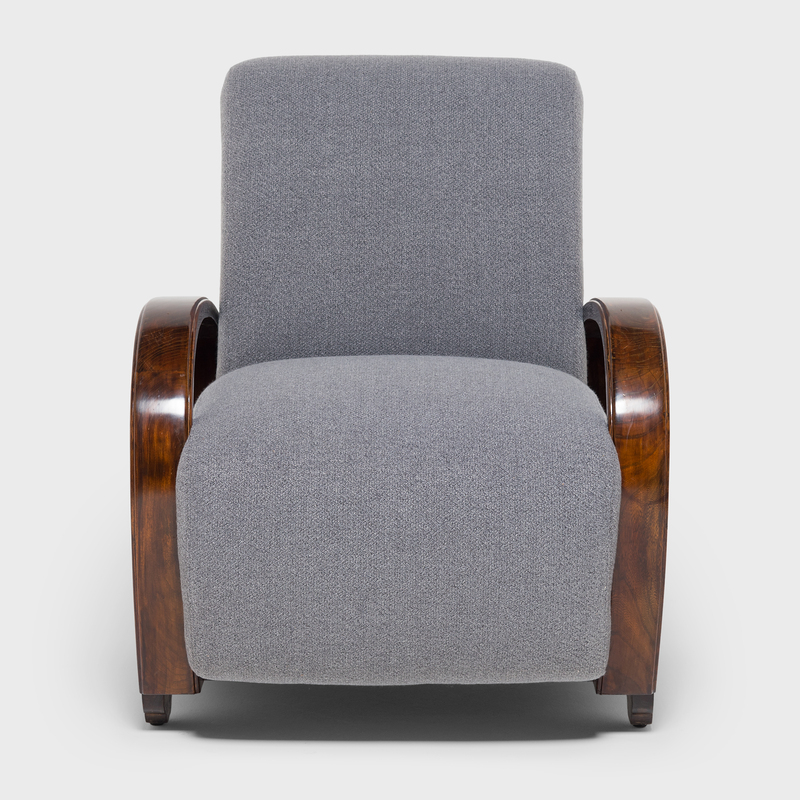 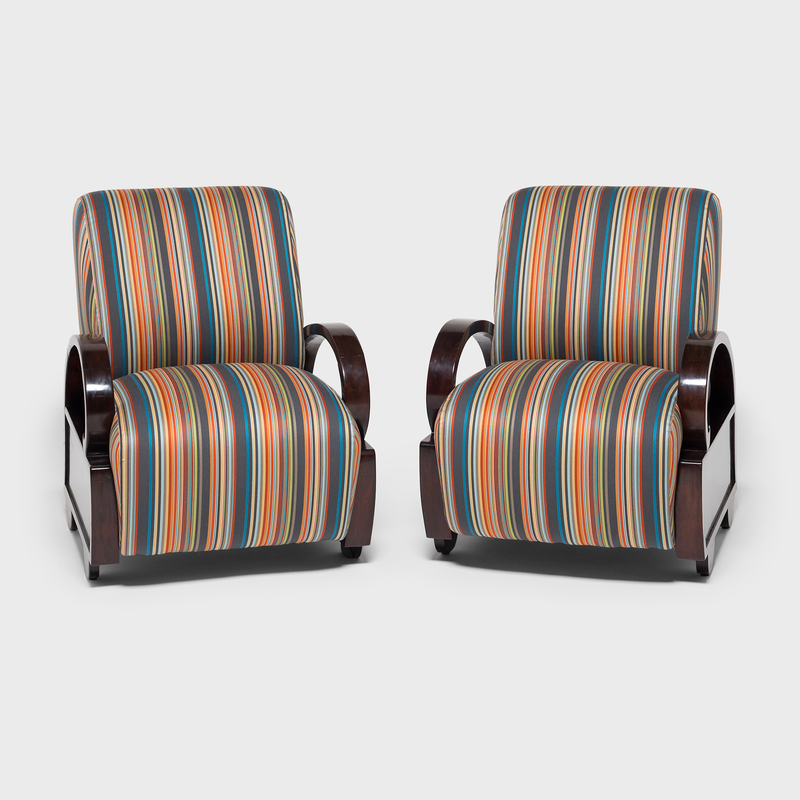 These stylized club chairs are a product of that era and exemplify the qualities that make Art Deco so sought after: simple lines, striking colors, and bold geometric shapes that remain timeless, even after so many decades. 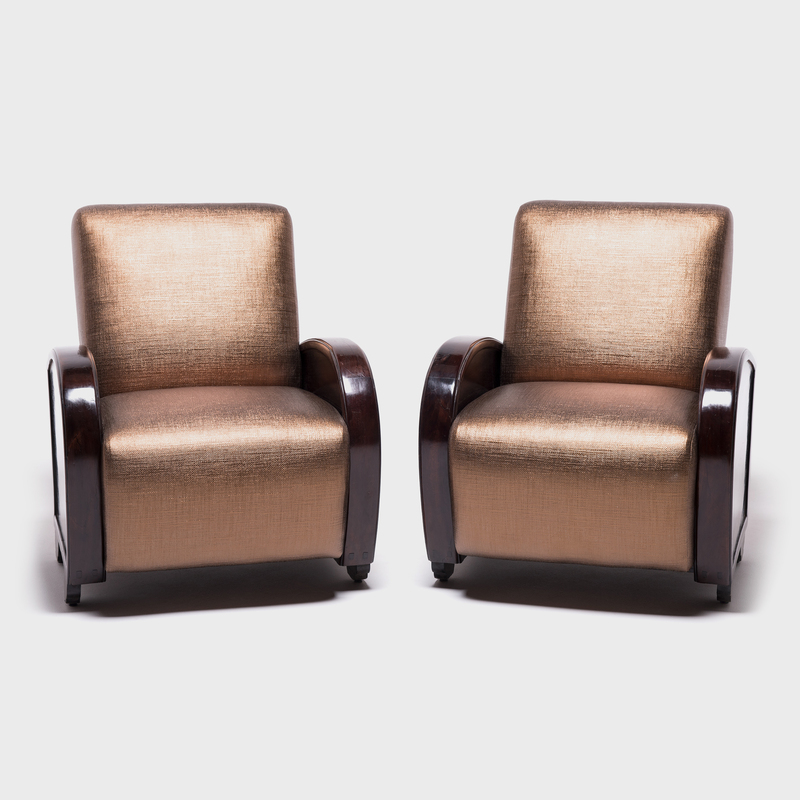 The plush chairs have been reupholstered in a metallic woven Knoll Luxe high performance fabric, glowing brilliantly against the rich finish of the original rosewood frame.